If you ever got enough of the Bangkok sightseeing, there are many ways to leave the city. 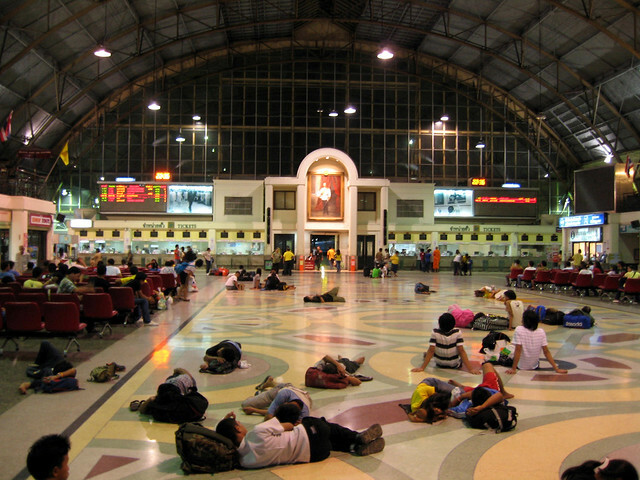 You can travel by train, the best places is the Hualamphong train station. You can check out their website www.railway.co.th or give them a call (1690). There you find timetables, destinations and prices. There are three big bus terminals in Bangkok too – the Eastern bus Terminal, the Northern Bus Terminal and the Southern Bus Terminal. But be prepared for about 1-2 hours to get to any of these from whereever you are. 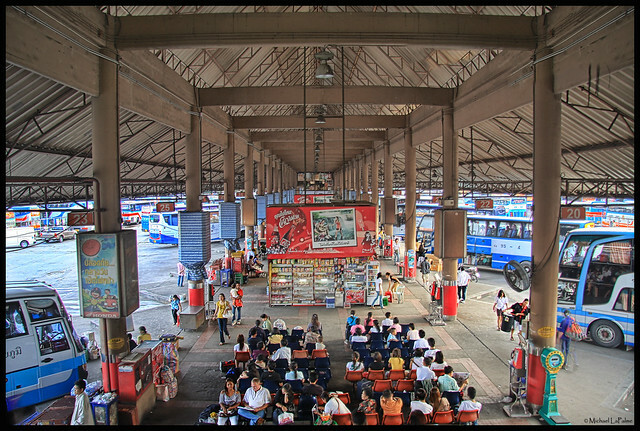 The bus terminals are typically located in the outskirts of Bangkok. 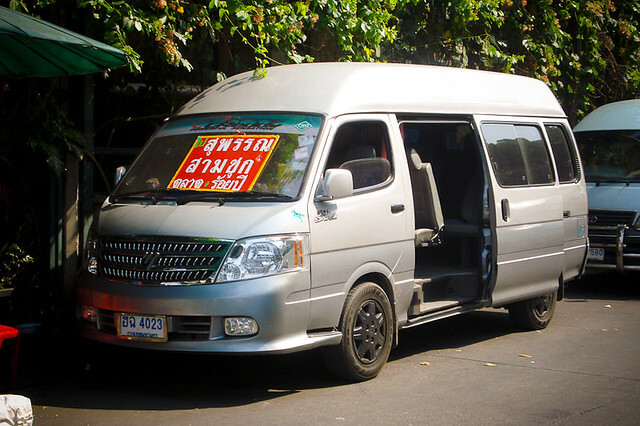 There are also many minibusses that are privately operated and depart from different places in Bangkok. One of the best places to get on a minibus is the BTS station Victory monument. But be prepared to ask around a bit – it’s quite chaotic, and you will have to go to one of the guys who stands in front of a minivan, tell him where you go, and he will point you towards the right van. Keep in mind that these minibusses tend to be less comfortable than the buses, but they are faster.